It’s somehow always the case that as soon as you think your makeup collection is complete, you have to buy more of a product that’s run out or replace products that are no longer up to par. While you may not ever be done replenishing your beauty supply, you can get more out of your products. Good quality makeup brushes can last for years — if you take care of them correctly. Allowing them to become caked with makeup, bacteria, and grime means you’ll be buying new ones sooner, and brushes can be expensive. You should, ideally, wash your makeup brushes once a week, but we don’t all have time for that. At least try to do it two or three times a month. If you feel like your mascara is drying up and running out, try this trick instead of running out to buy a new one. 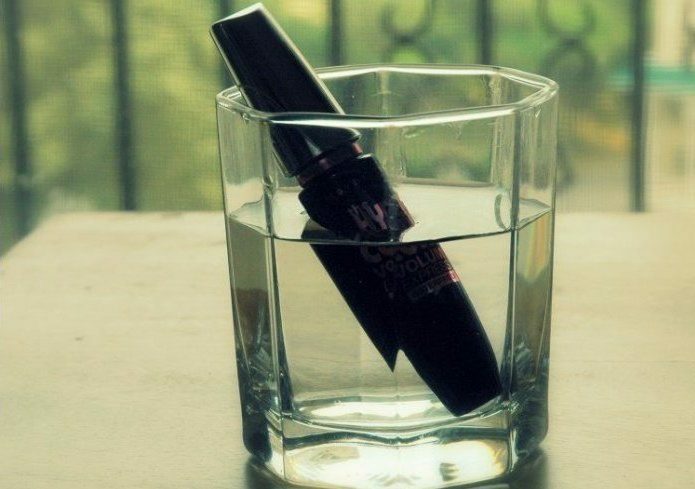 Secure the cap tightly, then let your mascara sit in a cup of hot water for two to three minutes. The hot water softens the dried mascara inside the bottle, making it (almost) good as new. This should give you another week or so before you really have to replace it. I don’t think I need to tell anyone how expensive great foundation can be. If you splurge on a foundation you love, make it last twice as long by mixing it with a small amount of face lotion. This turns your foundation into more of a tinted moisturizer. While it will go on lighter, it still gives coverage. If you’ve been storing your makeup in your bathroom, you’re doing it wrong. 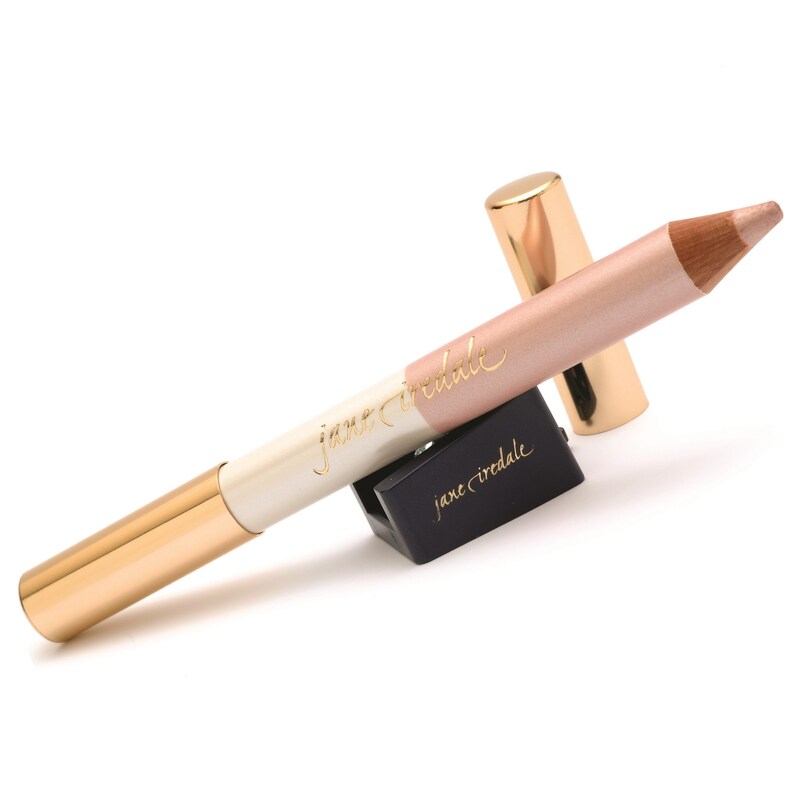 Makeup, especially things like eye pencils, should always be kept in a cool, dry place. When your pencils get warm, they start to melt. A bathroom, where you shower and use hot water, can make them too warm. Sometimes, after a while, powder makeup develops a weird hard film on top of it. To get rid of this and make your powder good as new, gently press tape against the top. 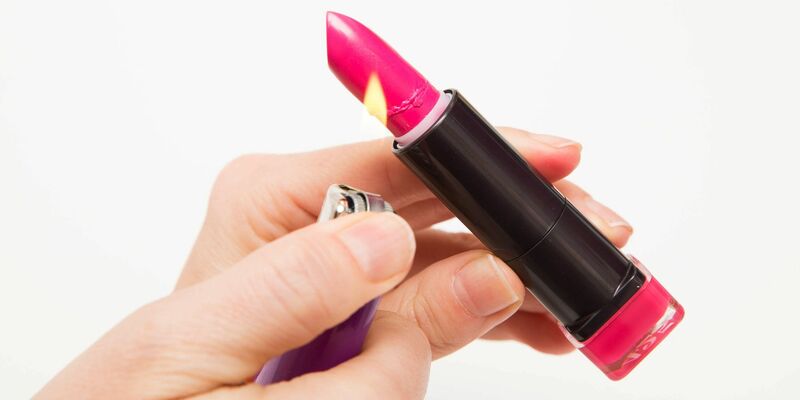 Few moments are as disheartening as your favorite lipstick breaking. But don’t panic and waste your money by getting rid of it or discarding the broken end! Use a lighter to fix it. Burn the end of the broken piece and the top of the tube, then press together until it firms. Lipstick saved. Remember how we said your eye pencil shouldn’t be kept in a warm, moist environment? The same goes for nail polish, lipstick, and perfume. Warm air will shorten the lifespan of all three of these items. They’re best kept in the fridge where they can stay cool. How many times have you been in a rush to get out the door, so you threw your products into your bag without really thinking about it? Probably a lot. Products break and crack and crumble so easily when they’re sitting at the bottom of your bag. Keep them safe by putting them in a smaller makeup bag, then carefully placing that bag in your handbag — in a separate pocket if possible. ← How to Dye Hair at Home.